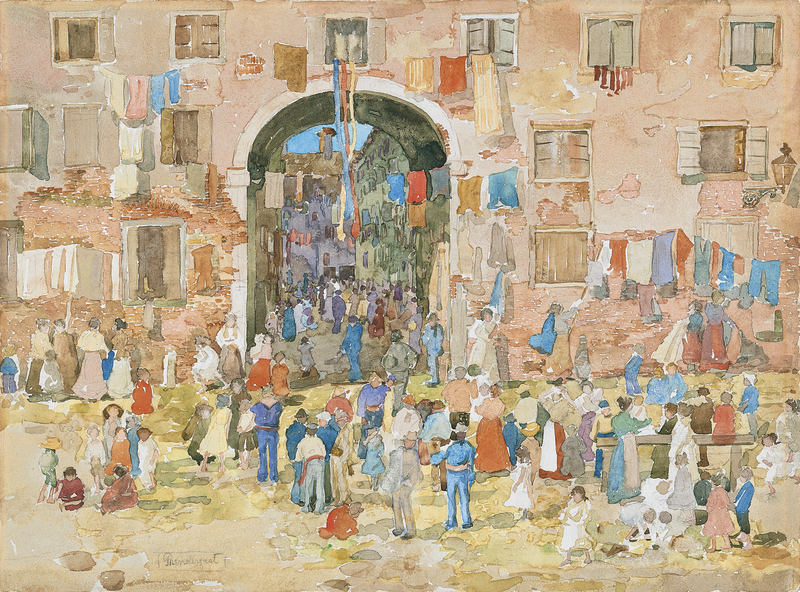 Venice was the city that most grabbed Prendergast’s attention during his trip to Italy in 1898 and 1899 and in which he stayed the longest. As can be seen in his Venetian works, the artist was captivated by its luminosity, but intentionally eschewed the free, airy type of composition established by the artists who were painting the city of canals around that time. His paintings and watercolours became more orderly and compact than his earlier works and the lattice structure adopted by many of them, like this Riva degli Schiavoni, is closely linked to the architectural layout of the city. This personal style, which has occasionally been associated with Byzantine mosaics, also displays certain similarities with the art nouveau motifs that featured in the illustrated magazines on which the artist had worked at the beginning of his career. Riva degli Schiavoni was presented at his solo exhibition at the Macbeth Gallery in New York at the beginning of 1900. 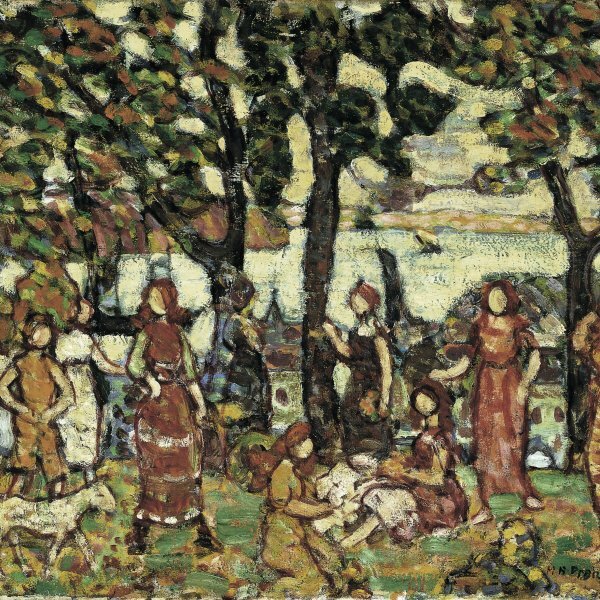 This exhibition marked a before and an after in the painter’s career, as thenceforward he exhibited his work fairly regularly in this American city. This circumstance brought him into contact with the circle of artists of Robert Henri, with whom he showed his work in the exhibition The Eight, also at the Macbeth Gallery, and led to his involvement in establishing the so-called Ashcan School.